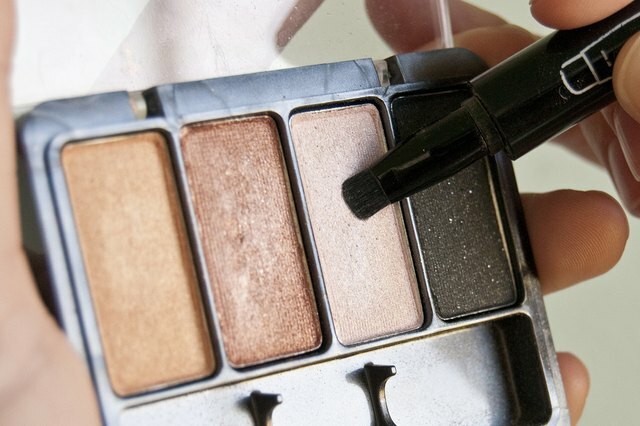 If you don’t know how to use an eye shadow quad properly, trying to apply all four shadows can be a bit unnerving. 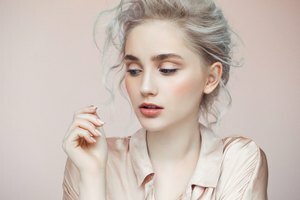 But most eye shadow quads are designed the same way – they contain a light color, two medium colors (one that is a little darker than the other) and a dark color – so once you know the basic technique, you’ll be a quad application pro. The lightest color in the quad is your all-over lid color. Apply this color with a flat, dense eye shadow brush on your entire eyelid – from your lash line all the way up to your brow bone. You only want a light dusting of this color, so don’t go overboard. The lighter of the medium tones is your lower lid color. Pick up the color with the flat, dense eye shadow brush and press it onto your lower lid – from your lash line to your crease. Don’t extend it over your crease. 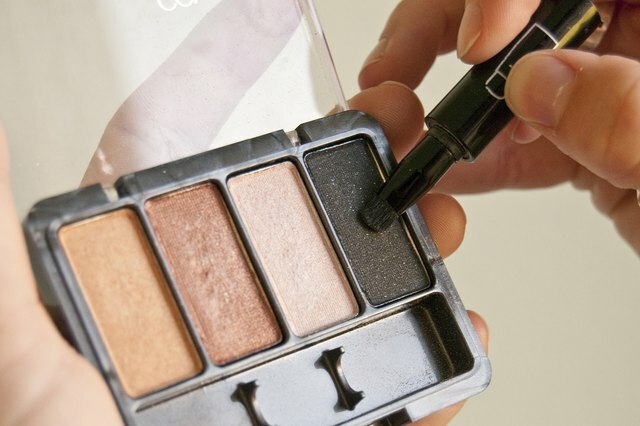 You want the color to end just below the crease. The darker medium tone is your crease color. 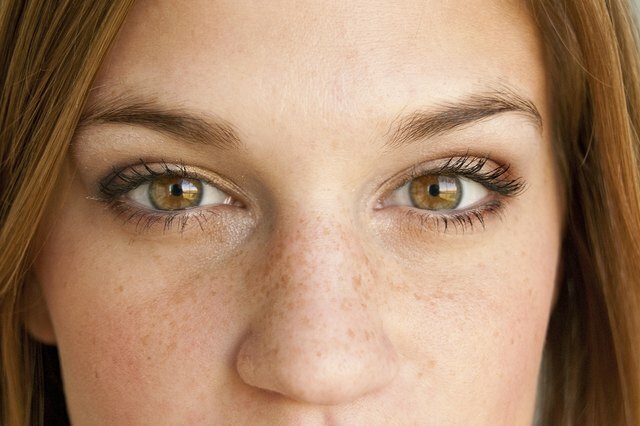 This is the color that creates depth in your eye and gives your eye a defined shape. 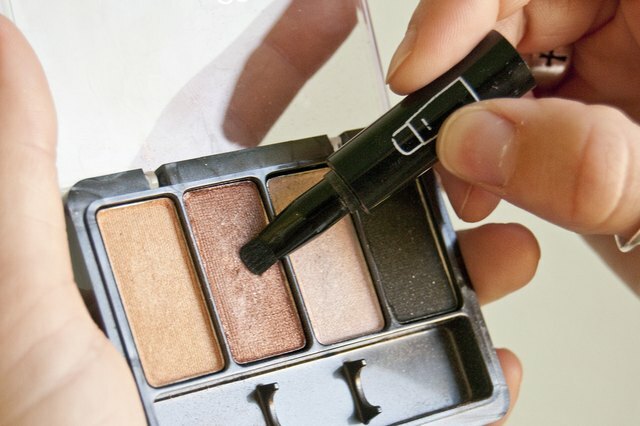 Use a rounded crease brush to pick up color and tap off any excess. Place the tip of the brush in the outer corner of your eye and sweep the brush back and forth along your crease using a windshield wiper motion. Repeat this until you’re happy with the intensity of the color. Take a clean, fluffy blending brush and blend all three colors together. Concentrate on the crease area, where all three of the colors meet. Place the blending brush at the outer corner of your eye and swirl it around in small, circular motions. Maintain the circular motions while simultaneously moving the brush across your lid in a windshield wiper motion. You can choose to do one of two things with the darkest color in the quad: Use it to define your eye even more for a more intense, defined eye, or use it in place of eyeliner. To use it as a dramatic shadow, pick up the darkest color with a stiff, pointed pencil brush and apply it in a sideways “V” shape to the outer corner of your eye. Once you’ve reached the intensity you want, use the clean blending brush to blend out any harsh lines. If you decide to use the darker color as eyeliner, dip a small, flat angled brush in the color, tap off any excess and press it into your lash line where you would normally put eyeliner. Do this across the whole top lash line. You can also intensify the bottom lashes by applying the darker color on the lower lash line from the outer corner of your eye to just about one-third of the way in.